Charles F. Carlborg was born Carl Ferdinand Carlsson on August 16, 1871, in Östergötland Län near Linköping, Sweden. Charles was the first-born of what would eventually number eleven children, to Carl Fredrik Svensson and Sofia Carolina Carlsdotter. Carl Fredrik’s stated occupation was carpenter, but he was most certainly a man of many skills, and he imparted many of those skills to Charles. Charlie, as he was most commonly known, later credited his father with teaching him basic blacksmithing skills including forging processes he would later use to make his own tools. Carl Fredrik’s skills were varied. Charlie’s brother Victor remembered working with his father in the carpentry shop where he learned wood carving. According to Victor, Carl’s repertoire spanned the distance from piano cases to violins, even one order for 1,000 coffins. Carl Fredrik was also remembered as a musician. A musician who at some point travelled with an orchestra. Exposure to such a varied skill set was perfect training for a future American west settler. Homestead life in America required, even demanded, versatility. And Charlie was destined to become an American for reasons not completely understood in this day and age. Without question, life in Sweden was difficult. From 1821 to 1930, twenty percent of the Swedish population left Sweden, most of which came to the United States. A country billed as the land of opportunity, America represented a chance for a prosperous life where the sky was the limit. Carl Fredrik and Sofia eventually sent six of their surviving eight children to America, with Charlie as the forerunner. Charlie’s sister Alma arrived in America at the tender age of nine. All of the children followed the same route. Immediately after arriving in America, they “bee-lined” straight to their Aunt Wilhelmina and Uncle Melker in Providence, Minnesota. Wilhelmina and Melker provided safe harbor in a land of strange customs and unknown language. 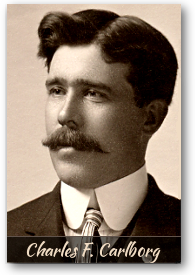 On June 29, 1888, Charlie boarded the ship Romeo in Göteborg, Sweden bound for England, listing his ultimate destination as Dawson, Minnesota. Charlie completed his Atlantic journey, landing in Philadelphia, Pennsylvania on July 17, 1888 and quickly made his way to Minnesota. Soon after arriving in America each Carlsson child changed their surname to Carlborg, for reasons unknown today, with Charlie again starting the trend. Charlie settled in with his aunt and uncle among a large Swedish ex-pat population and quickly began learning English and local customs. 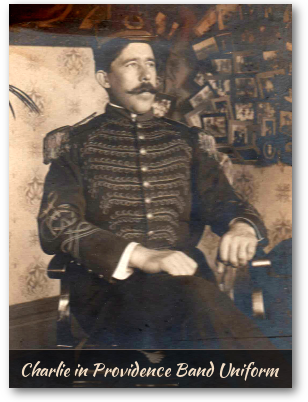 Like his father, Charlie was gifted musically and joined the Providence, Minnesota Band. He played the Baritone. In the Minnesota 1895 state census, Charlie is seen living with his aunt and uncle with Charlie’s occupation listed as “farmer”. The same is seen in the 1900 US Census. In 1895, The Nez Perce Indian reservation was opened for homesteading. 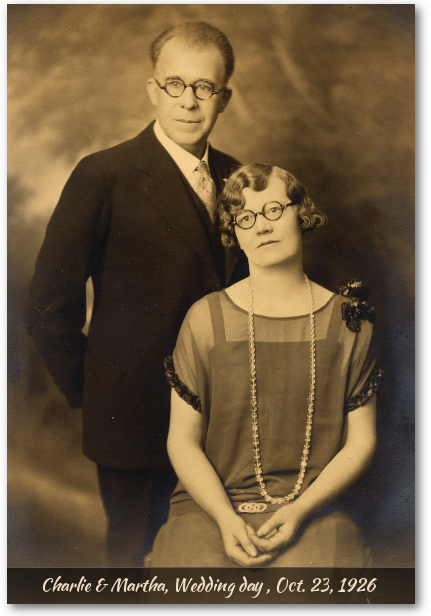 Charlie’s sister Hulda and her husband John Johnson arrived in the Woodland area near Kamiah, Idaho and began homesteading their 160 acres. The alignment of these events coaxed Charlie to move to Idaho. Arriving around 1903, he selected his 160 acre homestead, made improvements and built a house. Woodland had a small Swedish community on the north and the place was bustling. As homesteaders cut trees and began clearing the land for fields, a number of small sawmills sprang up. These in turn supplied the homesteaders with boards for building homes, as well as jobs to help supplement the meager crops as they began clearing and growing. Charlie is seen in the 1910 US Census working as a “machinist” at one of the sawmills. Like saplings or branches “bent” toward the sun, we all seem to have a “bend” towards our own individual suns. Charlie’s sun seemed to be machinery. Farming didn’t hold Charlie’s fancy, but working with metal was a different story. Charlie was a late bloomer when it came to marriage, but in 1926, at the age of 55, Charlie married Martha Marie Carlsson, age 40. They had one child, unfortunately stillborn. 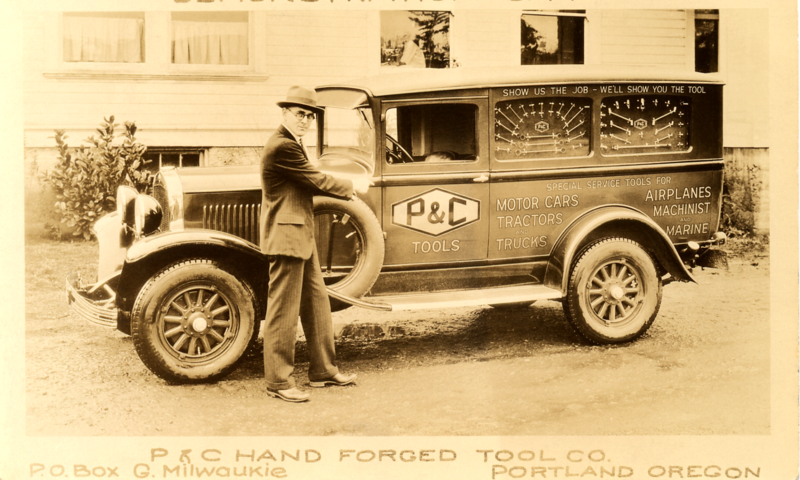 After the P&C Tools chapter of his life, Charlie returned again to the title of “machinist”, first seen with AC Company in the Portland City Directory of 1934, and later with a furniture making factory (BPJF Corp.). 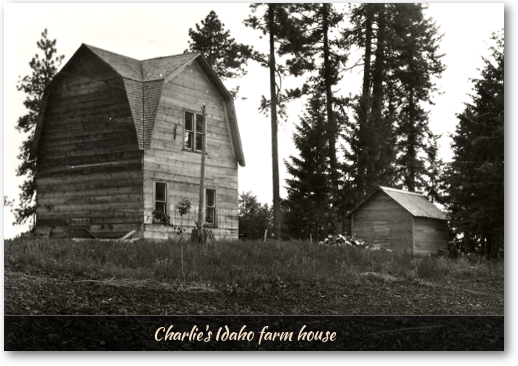 Charlie retained ownership of his Idaho farm but never returned to live there. Eight years after his death, Martha sold the farm to the author’s grandfather, Ralph (Charlie’s nephew). Four years later the farm was sold to Jack Johnson, Ralph’s brother, who also served as executor for Charlie’s estate. Charlie was known among his family as a loving and generous man. Charlie’s generosity is seen in purchasing ship fare for cousin Martin Swensson’s trip across the Atlantic to America. His generosity is seen in letters among his siblings, where they remark about receiving unexpected money in the mail from Charlie. Many of the early pictures of family members were taken and shared by Charlie, who had a camera as early as 1910. Charlie died in Portland, Oregon on December 29, 1952 at the age of 81. Martha also passed away in Portland on February 17, 1975.